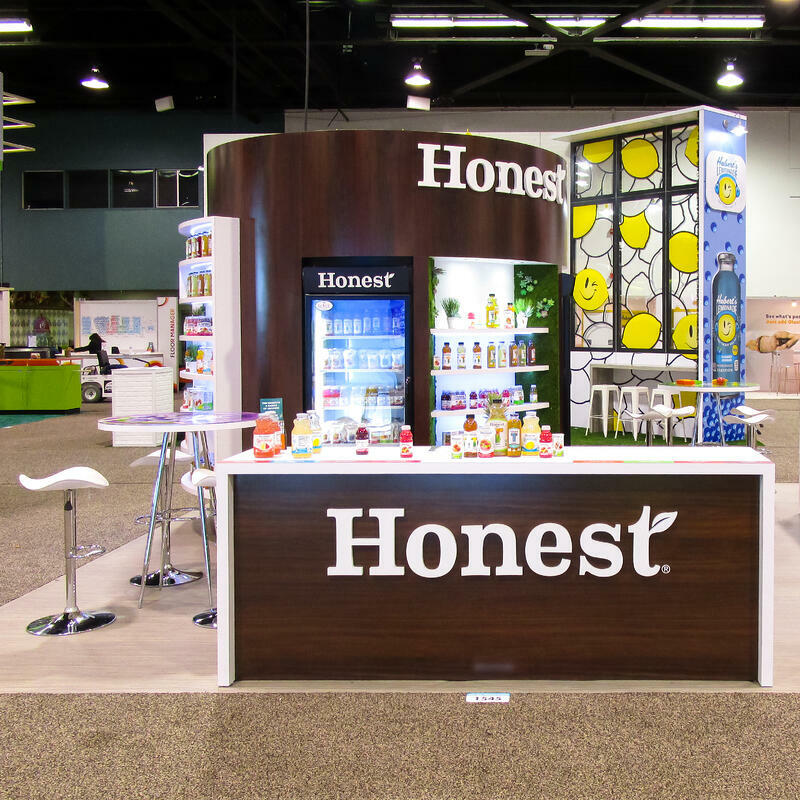 When planning for Natural Products Expo West, Honest Tea desired a more approachable exhibit. A large storage room was also a necessity. Serving areas were expected but maintaining an open floor plan was key. 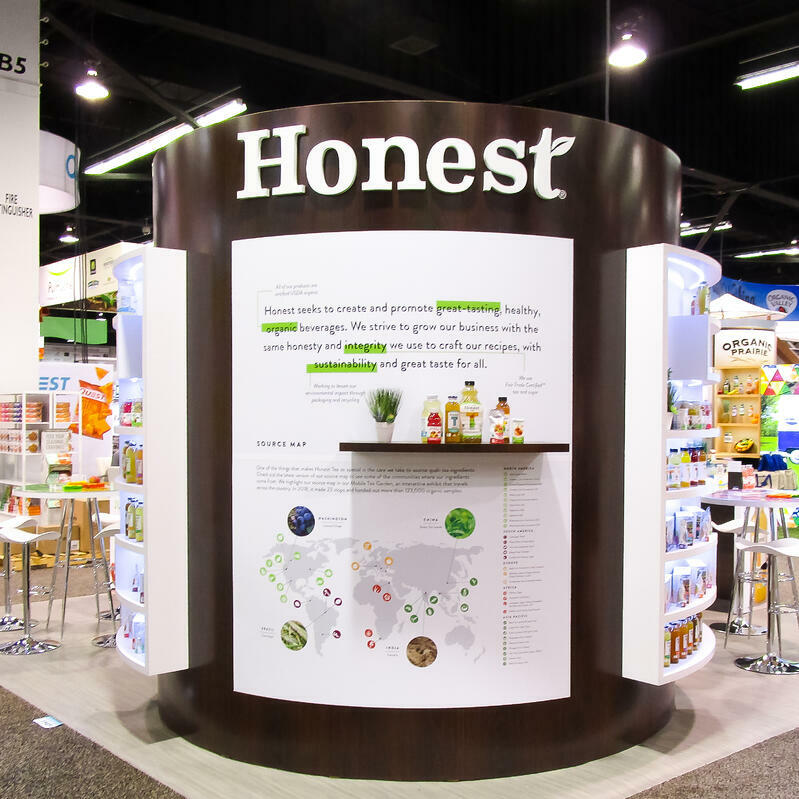 When designing, we wanted to preserve the natural and organic elements. We utilized wood grain laminates and wood grain vinyl flooring. We determined that a curved storage room would be dual purpose, allowing for larger storage space while maintaining the open flow of the space. We flush mounted the refrigerators units into the curved room to keep a clean line of site in all directions. 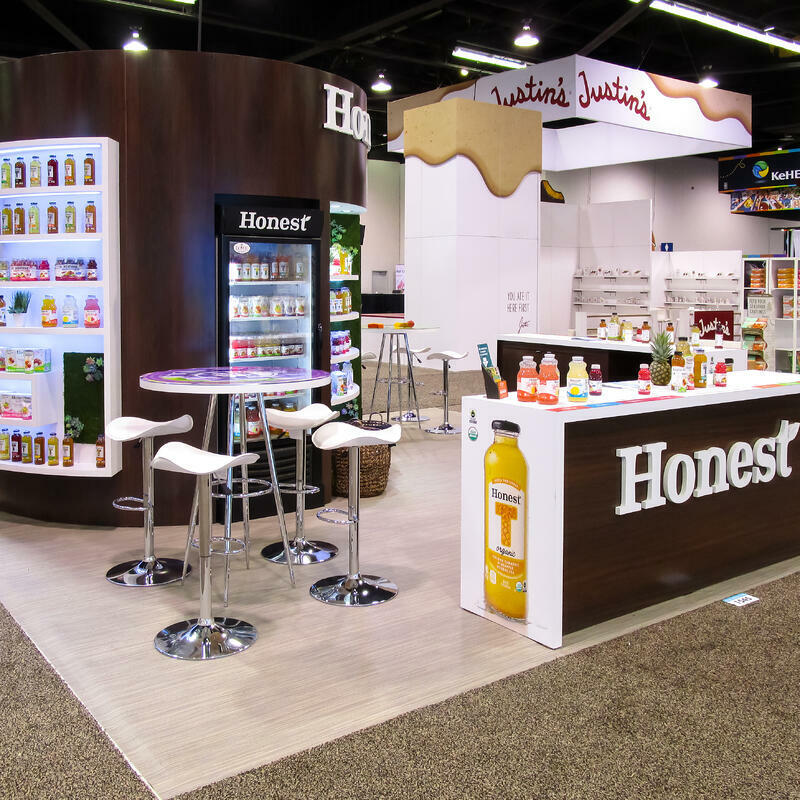 We covered the serving counters and bar tables with graphics to highlight their new products. 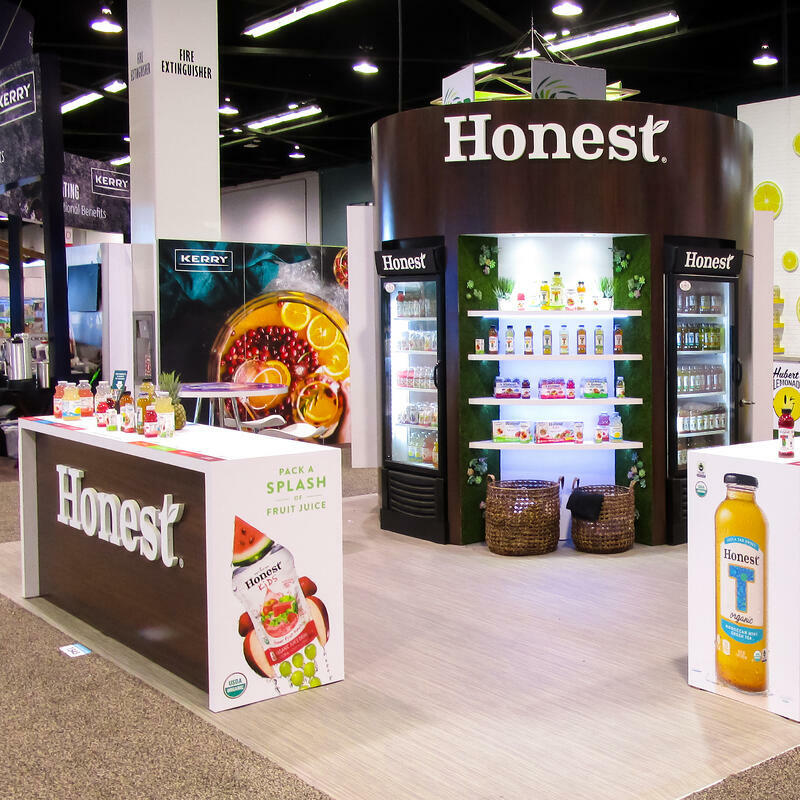 3D logos allowed the brand to be noticed from every aisle. We also added moss to the shelf units and randomly placed succulent plants.